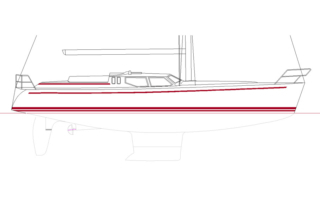 When developing this new model the goal was to design the best long distance cruiser. 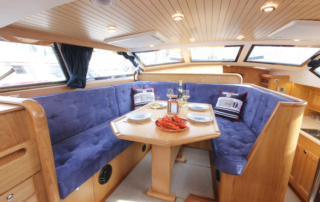 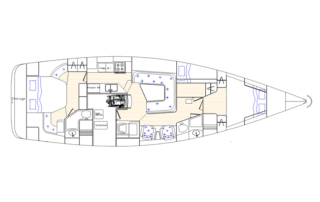 The modern hull provides great stability and seaworthiness and also larger interior volumes. 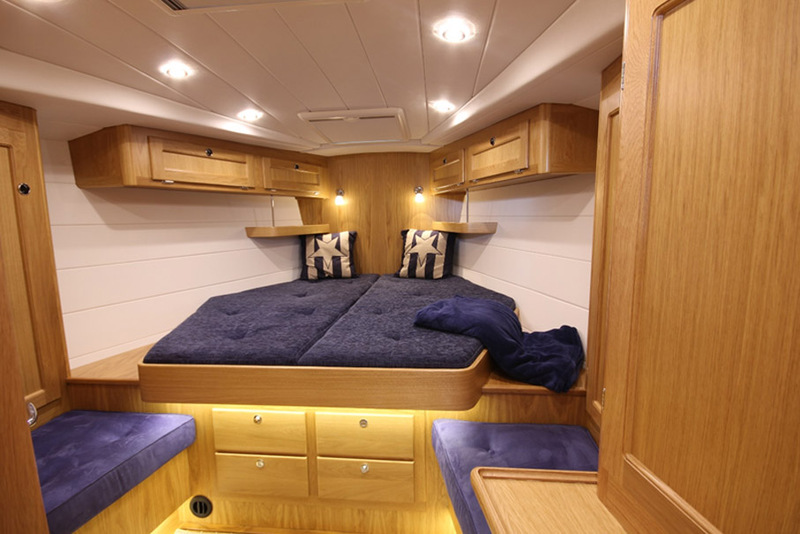 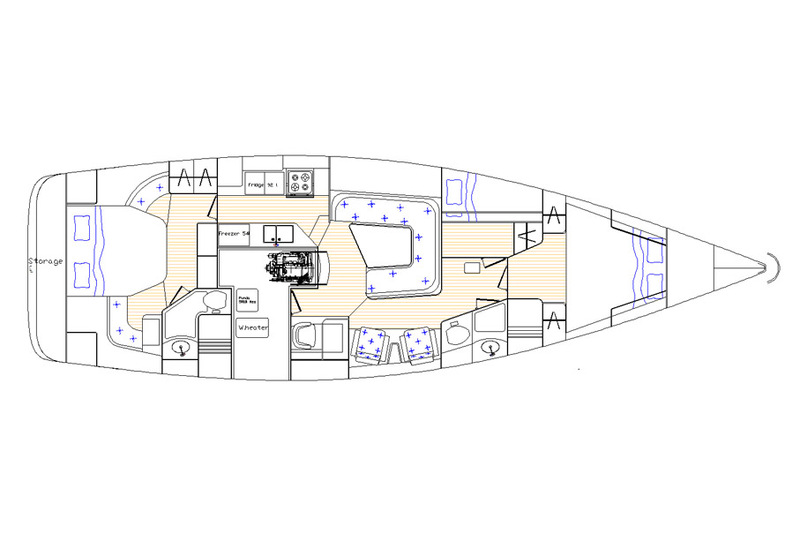 There are several differen layouts to choose from with 2-4 cabins that also can be adjusted to the customers specification. 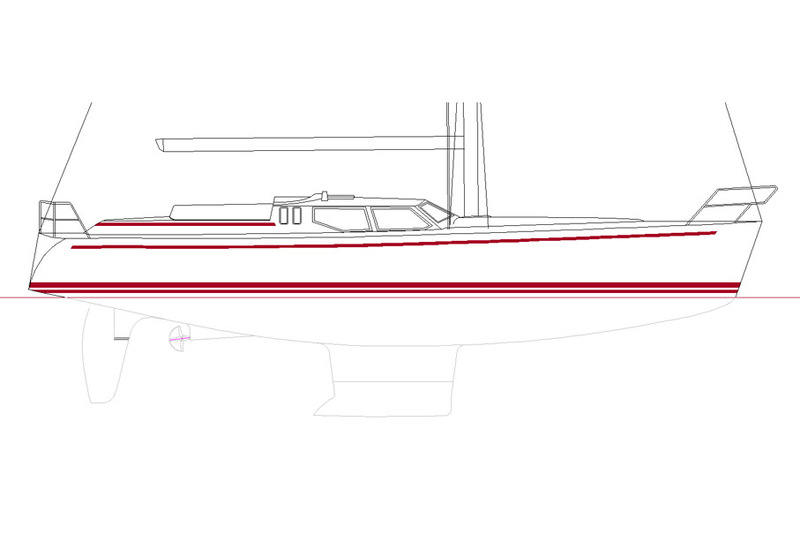 6 x Stainless steel strips protection for the teak at all cleats. 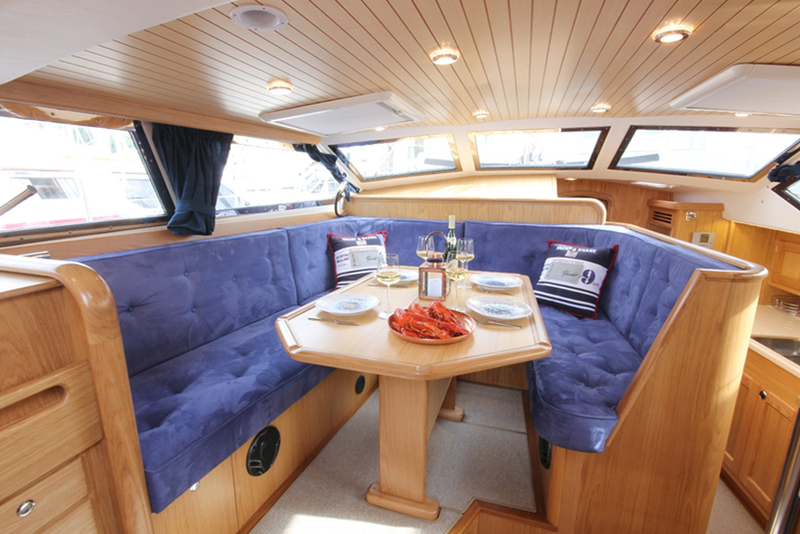 Bathing and safety ladder on the swimming platform Stainless steel grab rails on top of deck saloon. There are 3 separate 24V main switches, one for domestic, one for engine start and one for power equipment.